Tutorial 3. 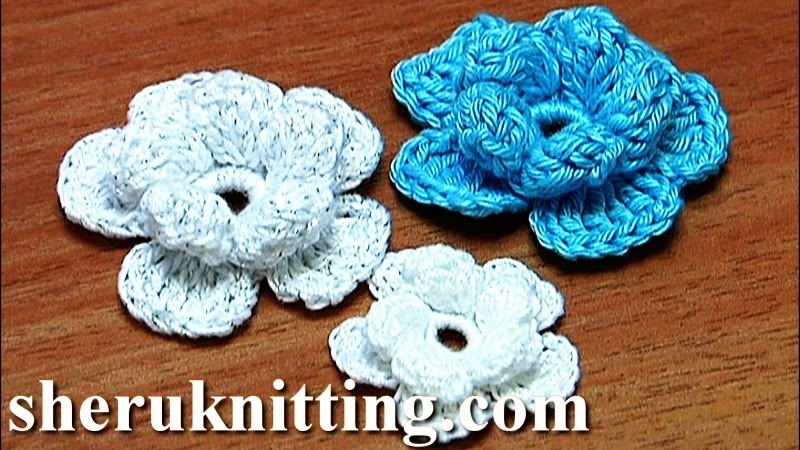 In you have already learned how to work a popcorn stitch this flower will be easy and fun to make. In the center we have 5 big popcorn stitches made of 5 treble crochet stitches. The popcorn stitch look more like a round of petals. The center of the flower is surrounded with 5 flat petals. Materials you need: yarn 100% Mercerized Cotton, 169m/50g, 4ply; Steel Crochet Hook 2mm (#4 US standards).